I’m sure I’m not the only person who has seen the beautiful overwater villas characteristic of the Maldives and Bora Bora and dreamed of the perfect romantic holiday to that idyllic location. So last year, when I married the man of my dreams, my Mr Silver, I knew exactly where I wanted to go: the far off land of Bora Bora. Living in the UK, French Polynesia really is a long distance but I was keen to take that flight over to the USA, catch another flight from LA to Tahiti, then another to Bora Bora. But it didn’t end there… there was also a half an hour boat transfer when we finally arrived on that glittering island! 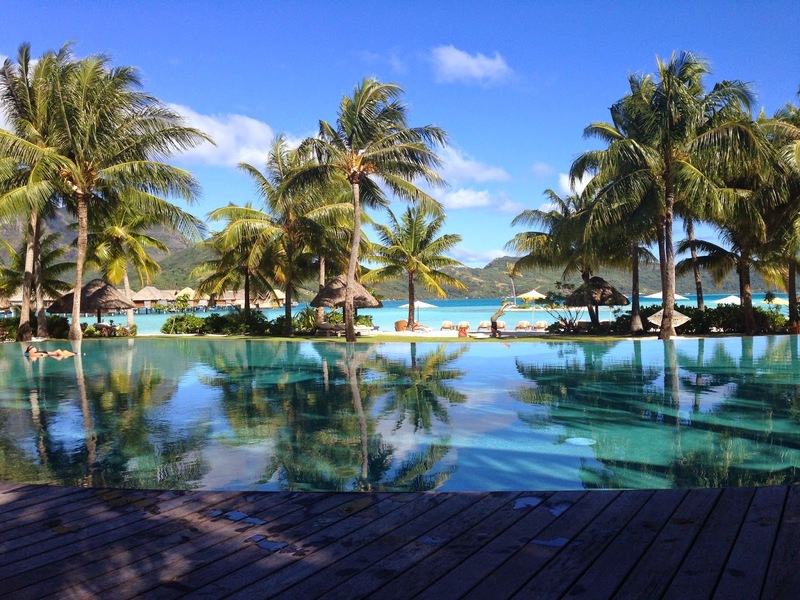 So why did I decide to make that epic journey to French Polynesia? Here’s ten reasons. French Polynesia is made up five groups of islands and The Society Islands is the most populous archipelago, encompassing Tahiti where the capital of the island collectivity lies. 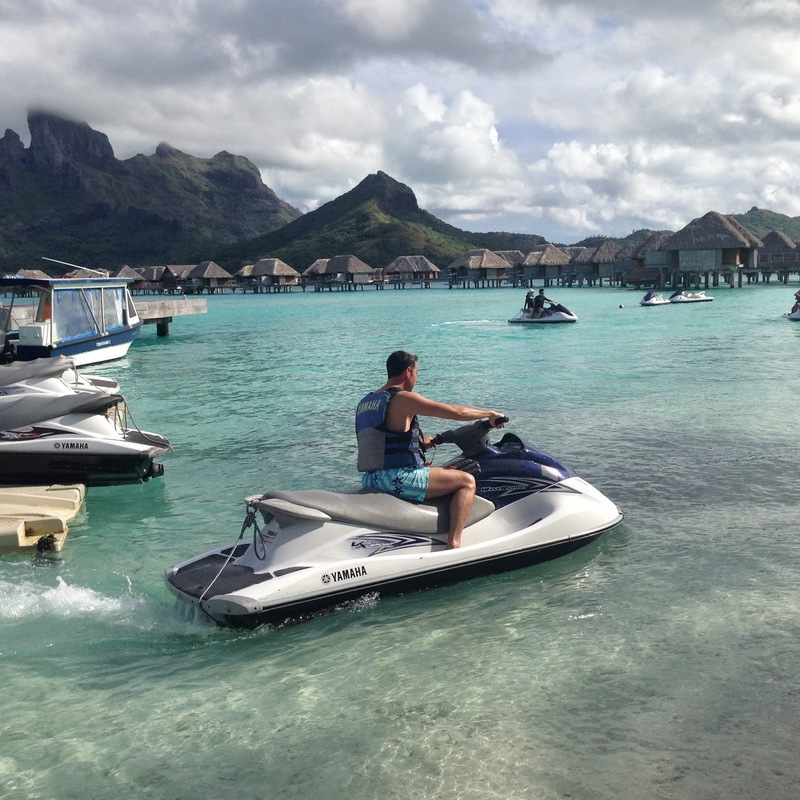 We visited two islands located in this group: the beautiful island of Bora Bora and nearby Tahaa Island. 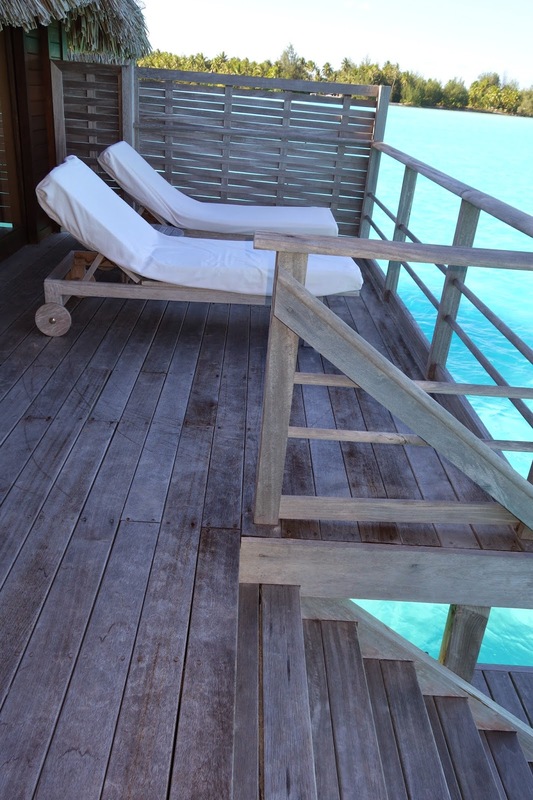 In Bora Bora we stayed in the gorgeous Four Seasons Hotel and I finally achieved my dream of staying in an over water villa in a tropical paradise! Our beautiful room was light and spacious and there was deck where you could jump straight into the sea! And a glittering infinity pool surrounded by towering palm trees and looking out on to Mount Otemanu. On Tahaa we stayed at Le Taha’a Isand Resort and Spa where the rooms have a gorgeous authentic French Polynesian look and they are made from bamboo with a thatched Roof. The two hotels were pretty much heaven on earth! I think all honeymoon couples are craving a bit of isolation and alone time after the madness of organising a wedding and dealing with all sorts of difficult relatives and stressful planning. As I mentioned in the introduction, French Polynesia really is miles from anywhere being an eight hour flight from LA and a six hour flight from New Zealand. Le Taha’a resort is the only hotel in the area so Mr Silver and I were pretty much completely alone in our honeymooners bliss. I think maybe the sun shines brighter, and the skies are bluer in French Polynesia…or it could just be the blissful state of relaxation you’re in means everything seems sunny! Having said that, it is still a tropical island and we did experience the odd heavy downpour! I’m personally not particularly into water sports but my husband is! And as you’re staying in accommodation completely surrounded by the sea it’s the perfect place to go swimming, jet-skiing, snorkelling, scuba diving and wind surfing. Taha’a is also called the Vanilla Island as Tahitian Vanilla is grown there – can you imagine a more beautiful and romantic scent floating through the air. I have to say not all the food in French Polynesia was to my taste but I loved the fantastically fresh raw and marinated fish that you could eat there. Both hotels that we stayed in served a delicious poisson cru, one of the signature dishes served in Tahiti. The dish consists of raw tuna marinated in lime juice and mixed with diced vegetables and coconut milk. It was a beautifully light and refreshing dish to enjoy in the hot Tahitian sun. The Sunset Bar at the Four Seasons Bora Bora served delicious sushi which you could nibble on before moving on to Ari Moana, the elegant and romantic restaurant at the resort. There was also the option of a beach barbecue during our stay where we feasted on lobster and steaks. The hotels are quite isolated so there aren’t many dining options out of the resort but you can take a boat to the mainland and dine at Bloody Mary’s. Here you choose fresh fish or meat from the counter and they cook it up for you as they have many celebrities in the past, the restaurant has even made an appearance on Keeping up with the Kardashians. Fire dancing has long been a tradition in Polynesian culture and is intended as an address to the gods. It was also used as an intimidation method during the wars between tribes in the Pacific. Nowadays it’s reenacted for tourists and we were excited to witness a group of fire dancers whilst staying in Bora Bora. It was incredible watching the talented dancers whirling and twirling their flaming batons. Though is was a fantastic spectacle we were a little nervous especially given the wind and low hanging branches! The Four Seasons Bora Bora is so ideal for honeymooners, it even has a romance menu in order to customise your perfect stay with your loved one. One thing Mr Silver and decided to do was to take a sunset cruise on The Navigator the resort’s own catamaran. …such a perfectly romantic moment! We’ve had romantic private dinners before but we’ve never had one on our own private island as we did when staying at Le Taha’a. An outrigger canoe took us to the resort’s ‘motu’ islet which was set up with a beautiful table surrounded by tiki torches. We started off with champagne and canapes followed by a four course dinner and matching wines. Whilst we enjoyed our meal we were serenaded by a band and entertained by a whole of dancers including more incredible fire-dancing. Where are you going on honeymoon? Would you choose French Polynesia? Written by Angie Silver from SilverSpoon London. I’m Angie Silver and SilverSpoon London is a lifestyle, food and luxury travel blog following my adventures in my hometown of London and around the world. I aim to give the low-down on London’s hottest new restaurants as well as cool and inspiring destinations globally. You can follow Angie & SilverSpoon London at www.silverspoonlondon.co.uk & follow her on Twitter & Instagram.